However, the report’s authors were quick to point out that the findings should not be used as an ‘excuse’ not to use technology, but as a spur to finding a more effective approach. The 2020 Trust’s Digital Technologies in Schools 2014 report  reached a similar conclusion. We found that for the first time in the 22 years the survey has been carried out, teachers’ confidence in using technologies for learning had declined. We attributed this to the rapid increase in digital technologies in schools, fuelled by the growth in individual student learning devices and the massive investment by Government in internet infrastructure for schools in recent years. We felt there were signs the technology had got ahead of teachers’ abilities to make the most effective use of them in addressing students’ learning needs. The OECD report seems to be suggesting something similar, although it is a bit of a jump to directly link the growth of digital technologies in schools to declining student performance in terms of reading and mathematics. 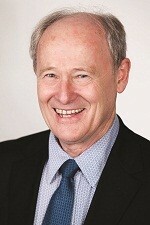 The New Zealand Institute recently published a report  highlighting the decline in mathematics performance by New Zealand students over the last two decades. It argues that the move away from rote learning in our primary schools over the past 15 years has meant that schoolkids no longer get the solid grounding in the basics of maths that they need. So, is the technology the problem or the pedagogy? I expect the report will result in a call for more professional development for teachers, but I don’t think this alone will turn around New Zealand’s ‘significant declines’ in PISA learning outcomes. I believe we need to take a much more holistic approach as suggested by Minister Kaye’s 21st Century Learning Reference Group in their report on future-focused learning . The Reference Group certainly acknowledged the importance of teacher professional development but also called on initial teacher education providers to put more focus on the pedagogy of using learning technologies. The Group also recognised the opportunities of expanding learning opportunities into students’ homes, not as ‘homework’ but as an integral part of learning. We shouldn’t just keep dumping all our education woes on schools – after all, students only attend schools for 384 half days every year, which equates to just 13% of their time. We need to provide 24/7 learning opportunities and use the ‘compulsory’ school time to motivate and excite students about learning. Rather than overload teachers, expecting them to ‘deliver’ more and more curricula, let’s provide parents and grandparents with the skills to support their children’s learning. With an individual learning device and a home internet connection, and digitally literate parents, students could be encouraged and supported by their whānau to use more of their 87% ‘free time’ to invest in learning . Our Computers in Homes vision is that all parents and caregivers have the digital skills and confidence to support their children’s learning, with a special focus on building positive learning behaviours and effective use of technologies by children at primary school. One interesting finding in the OECD report where New Zealand stood out from other countries was the lack of gender differences in terms of access to computers by under 6-year olds; 50% of all New Zealand children have used a computer by the age of 6, and New Zealand and Japan were the only two countries with no statistically significant differences between girls and boys . 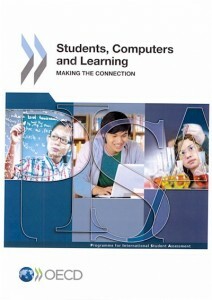 The PISA results used for the OECD study were based on a 2012 survey of 15-year olds. We can expect a totally different result in 10 years when today’s 6-year olds reach secondary school. There are a growing number of online learning resources, many of which are already used in schools – resources such as Mathletics and Maths Buddy, Reading Eggs and Bamzonia, are just a few examples. And then there is the Khan Academy and online programmes such as the Trust’s ICDL digital literacy modules. What a huge boost to school ‘productivity’ could be achieved if students are motivated to spend a few hours every day using targeted online learning activities. Some of these could even be packaged as games for their smartphones. Imagine what could be achieved if the boundary between ‘fun’ and ‘learning’ is blurred. The OECD make a good point in their strapline – ‘without data, you are just another person with an opinion’. It is somewhat surprising then that they have drawn conclusions about New Zealand based on the negative correlation between ICT in schools and PISA scores. This does not imply causation; there are so many factors that influence educational outcomes. But that should not be an excuse for us to ignore their findings. Wouldn’t it be great to be able to draw on our own New Zealand data to decide if technology is a hindrance or a help to learning. Maybe this is the real message we need to take from this survey. How do we really know? 24/7 Learning. Like the rest of us, students do need to sleep, so strictly speaking we should remove 8 hours a day from possible learning time. This would mean that only 50% of their time is technically available for discretionary learning, once compulsory school hours and sleep are taken into account.